To differentiate prostate cancer lesions with high and with low Gleason score by diffusion-weighted-MRI (DW-MRI). This prospective study was approved by the responsible ethics committee. DW-MRI of 84 consenting prostate and/or bladder cancer patients scheduled for radical prostatectomy were acquired and used to compute apparent diffusion coefficient (ADC), intravoxel incoherent motion (IVIM: the pure diffusion coefficient D t, the pseudo-diffusion fraction F p and the pseudo-diffusion coefficient D p), and high b value (as acquired and Hessian filtered) parameters within the index lesion. These parameters (separately and combined in a logistic regression model) were used to differentiate lesions depending on whether whole-prostate histopathological analysis after prostatectomy determined a high (≥7) or low (6) Gleason score. Mean ADC and D t differed significantly (p of independent two-sample t test < 0.01) between high- and low-grade lesions. The highest classification accuracy was achieved by the mean ADC (AUC 0.74) and D t (AUC 0.70). A logistic regression model based on mean ADC, mean F p and mean high b value image led to an AUC of 0.74 following leave-one-out cross-validation. Classification by IVIM parameters was not superior to classification by ADC. DW-MRI parameters correlated with Gleason score but did not provide sufficient information to classify individual patients. • Mean ADC and diffusion coefficient differ between high- and low-grade prostatic lesions. • Accuracy of trivariate logistic regression is not superior to using ADC alone. • DW-MRI is not a valid substitute for biopsies in clinical routine yet. The scientific guarantor of this publication is Harriet C. Thoeny. The authors of this manuscript declare no relationships with any companies whose products or services may be related to the subject matter of the article. This study has received funding by the Swiss National Science Foundation (grant 320000-113512); Nano-Tera (RTD: 20NA21_145919); Carigest (Geneva, Switzerland), representing an anonymous donor; Maiores Foundation; Propter Homines Foundation; Kurt and Senta Herrmann Foundation; and Foundation Fürstlicher Kommerzienrat Guido Feger. One of the authors has significant statistical expertise. Institutional review board approval was obtained. Written informed consent was obtained from all subjects (patients) in this study. All subjects have been previously reported in Bains LJ et al., J. Urol. 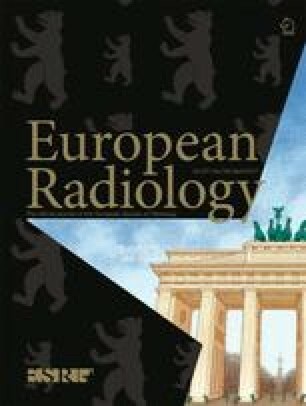 (2014); Thoeny HC et al., Radiology (2014); Birkhäuser FD et al., Eur. Urol. (2013); Triantafyllou M et al., Eur. J. Cancer (2013); Froehlich JM. et al., Contrast. Media Mol. Imaging (2012). Methodology: prospective, diagnostic or prognostic study, performed at one institution.